The third season of the Sailor Moon anime, Sailor Moon S has been released in a variety of formats and is now available on DVD and Blu-ray with a digital release confirmed for the near future. This page will list all of the official releases of the season in English language regions. 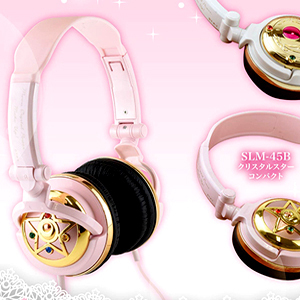 If you see a DVD or Blu-ray release of Sailor Moon S in a store or online that doesn't look like any of these products, I can 100% guarantee that it's a bootleg and should be avoided. Along with the listings of the Sailor Moon S DVDs and Blu-rays, you will see links to my reviews (which feature my in-depth review of each disk's contents accompanied by screencaps of the menus) and their relevant pages at numerous Amazon stores such as Amazon.com, Amazon.ca and Amazon.jp . Amazon offers great service, prices, and fast shipping and I have honestly used them myself for years for my own Sailor Moon shopping. Occasionally you may see plain text where a shopping link should be. This is most likely due to the item being unavailable on that online store. You will also see links throughout my reviews to the episode summaries of the episodes on the relevant DVD. Likewise the Sailor Moon S Episode Guide has links to these DVD reviews. Happy Shopping! The original English language dub of Sailor Moon S was released on DVD in an uncut format along with the Japanese audio and English subtitles. Unfortunately, these are now out of print and are getting harder and harder to find. These are highly recommended, especially for Sailor Moon fans who want to watch the series with (most of) the same actors from the DiC dub of the first two seasons and the English names such as Serena, Darien, etc. The edited TV version of Sailor Moon S, which are essentially the same as the uncut DVD versions but with the cool DiC-esque digital transitions/swipes and a different opening, have only ever been released on VHS and are even harder to find than the DVDs. These tapes can be found on Amazon.com being sold by some sellers. While I highly recommend the Region 1 Dual Audio releases of the Sailor Moon S DVDs mentioned above, if you're interested in collecting the Japanese Region 2 Sailor Moon S DVDs, I've also listen those here. Despite the fact that they only have the Japanese audio, no subtitles, and very little bonus features, the picture and audio on these DVDs have been digitally remastered making them well worth thinking about if you want to view the series in the best visual and audio quality possible. Check out a Sailor Moon DVD comparison screencap image here for an example of the difference. In 2010, Toei released two Sailor Moon S DVD Box Sets which contain all the individual DVDs listed above but for a much cheaper price and with very nice looking covers and slip cases making them well worth a look even if for those who already have the individual releases. In 2014 VIZ Media gained the distribution rights to the original Japanese 90's Sailor Moon anime. Their release features the uncut Japanese version with English subtitles and a completely new English dub with no relation to the one that aired on TV in the USA, Canada, Australia and other countries during the late 90s. This new English dub stars different voice actors, uses the original Japanese music, and has a completely new script. In my Sailor Moon R Part 1 DVD review for About.com I discuss this new release of the Sailor Moon anime from several viewpoints to help fans decide if this version is something they should be investing their time and money in. I approach it as a fan of the 90s DiC English dub as well as a purist who wants the best version of the original Japanese Sailor Moon available and as a casual Sailor Moon fan who just wants to watch an episode of Sailor Moon. It should answer any questions you may have about this release and I highly recommend giving it a read before purchasing. 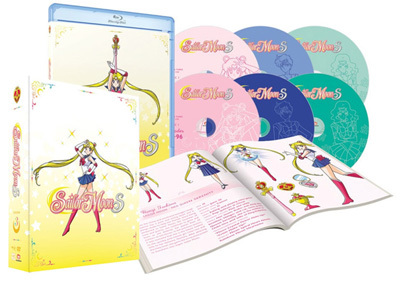 The Limited Edition Set of the Blu-ray and DVD Combo Pack Part 1 will come with a special box to hold the first and second parts of Season Three (Sailor Moon S) as well as a special book featuring a basic episode guide and artwork. Buy this Limited Edition on Amazon.com while supplies last.